Dubbed as “the miracle tree” or “tree of life”, the ever effectual multipurpose tropical tree of Moringa Oleifera has numerous uses from industrial, agricultural to medicinal use. This evergreen tree is a nutritious, fast-growing and drought – tolerant tree that beams at a height of 10-12 meters. It was rediscovered in the 1990s and its cultivation has increasingly become popular in Asia and Africa. Nothing goes to waste on this tree as all of its parts like the pod, roots, bark, flowers, seeds, fruits and even its oil are all edible and utilized that’s why it is also known to be an economically valuable crop. The modest tree of Moringa oleifera is fast becoming a well-known superfood because of its high concentration of nutrients, anti-oxidant, and anti-inflammatory properties that are accumulated mostly from its leaves. Its round egg-shaped green leaves give out a rich nutty smell, deep in green color and a robust taste. 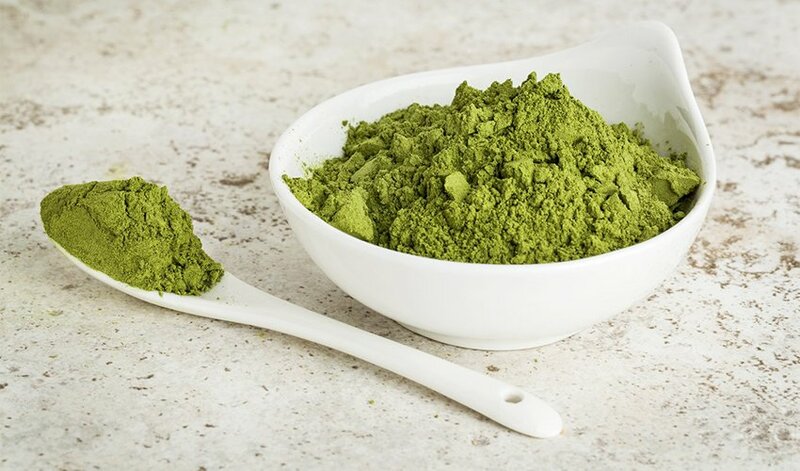 To this day, Moringa has become a popular natural leaf supplement in powdered form. Moringa powder is prepared by drying its leaves in low temperature to allow the plant tissue to achieve a powdery consistency. It is then screened to remove all impurities and then packed in sealed bags. Once packed, it wonderfully retains its nutritional value, vitamins, minerals, antioxidant and all amino-acids making it fresh for several months. 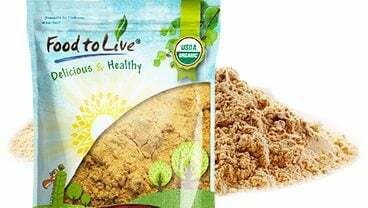 Moringa powder is loaded with all the good nutrients that are easy to take and can be stored conveniently. 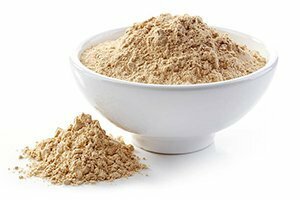 It’s being pure and organic makes them free from any side effects and it is water soluble that can be easily used as an ingredient to a variety of recipes. 1. Increase in the production of breast milk for lactating mothers – This is good news for first-time moms who have difficulty producing milk for their infants and for pregnant women who are at risk of developing nutritional deficiencies. Moringa leaves contain vitamins, minerals, and essential amino acids. It is used as a galactogogue, an agent that induces milk secretion in Asia particularly in the Philippines. Two studies conducted in the Philippines shows that Moringa might have some activity of galactogogue in mothers of preterm infants and it also shows no adverse effects for nursing mothers who consumed moringa leaves in powder or tablet form. In just 6 spoonfuls of moringa powder may satisfy a woman’s need for calcium and iron during pregnancy and breastfeeding. 2. It fights inflammation – Inflammation can lead to chronic diseases like diabetes and cardiovascular diseases. The anti-inflammatory activity from the bioactive compound found in Moringa oleifera may help contribute to the improvement of the origin of inflammation-related chronic diseases. Likewise, Moringa leaf can substantially lower inflammation in the cells. 3. Improves blood glucose to normal – Drinking moringa leaf powder may help in reducing the effects of oxidative stress that damages the cells particularly on the diabetic patient. 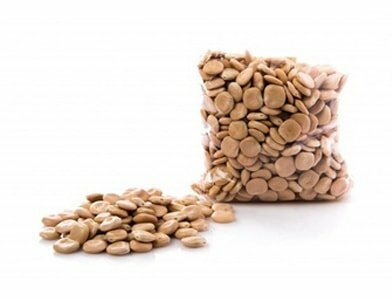 It lowers the sugar and cholesterol levels and maintaining it to normal. 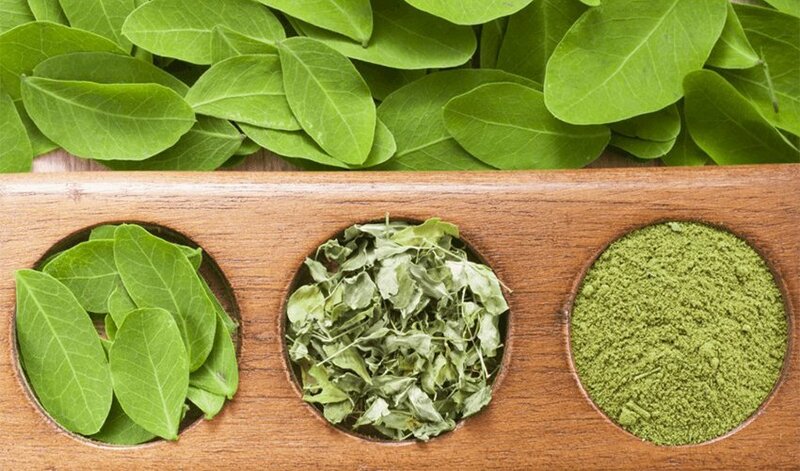 A study conducted to find out the effects of Moringa leaf powder as medicinal plants on glucose tolerance in rodents shows that Moringa oleifera decreases the blood glucose significantly in rodents modeled type 2 diabetes. 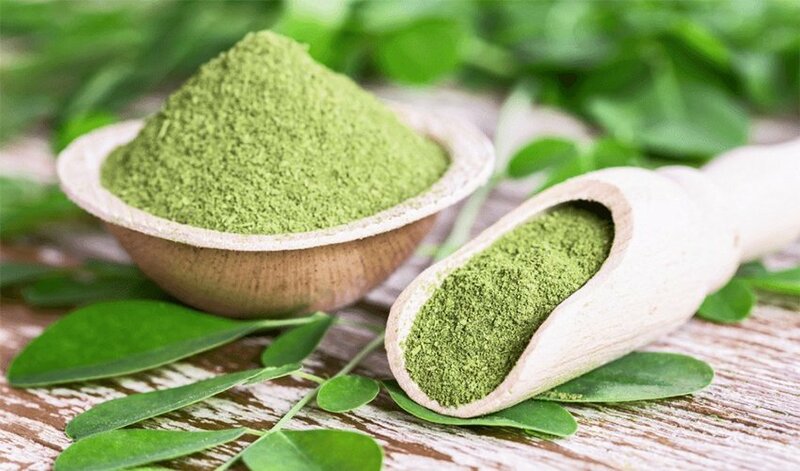 The result further indicates that the effect may be induced by glucoside and fiber contents that are present in moringa leaf powder. 4. Strengthens immune system – Moringa leaves contains an amazing amount of vitamin C which translate to 6-7 times richer in vitamin C than in orange juice. It meets the daily recommended requirement of 60mg of vitamin C which is essential in strengthening the immune system from common colds and flu and other infectious diseases. 5. Stimulates hair growth – For women hair is their crowning glory. A shiny thick hair is not only necessary for a good appearance but it is also an indication of good health. Sufficient supply of oxygen and nutrients to hair follicles is vital for a healthy hair. Moringa powder is rich in vitamin A and zinc that encourages for hair to grow and keep it in good condition. In addition, moringa powder is rich in B vitamins, C and E, biotin, and inositol that provide nutrients to help improve scalp circulation and maintaining capillaries that carry blood to the follicles. Deficiency of these vitamins and minerals can lead to hair loss, dandruff, dry hair, and weakening of hair follicles. Likewise, the lack of zinc can lead to deterioration of the protein structure that makes up hair follicles and it is believed that zinc played an important role in DNA and RNA production that is required for hair follicle division that leads to healthier hair growth. 6. 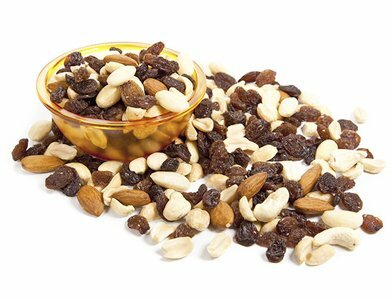 Rich in antioxidants that may prevent cancer – Antioxidants helps in eliminating free radicals that can cause cancer to build up and develop carcinogenic growth. Moringa is nature’s potent source of a powerful combination of antioxidants that may prevent the spread of cancer in the body. Moringa leaf contains antioxidant properties like flavonoids, polyphenols and ascorbic acid that make for a higher antioxidant activity that prevents damage into cells making the organs in the body healthy and functioning well. A study in women shows that taking 1.5 teaspoons of moringa powder every day for three months can have a remarkable increase in blood antioxidant levels. 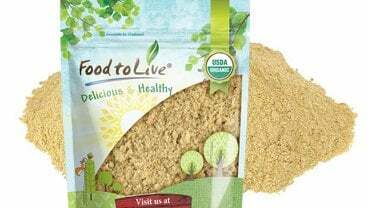 Behind all the amazing health benefits of moringa leaf powder is the nutritional powerhouse cast of 20 types of amino acids, 46 antioxidants, 36 anti-inflammatory compounds, and more than 90 nutrients all in one good versatile tree. That’s not all, it also boasts of high amount of minerals like iron, calcium, potassium and vitamins A, C, E, B1, B2, B3, and B6, as well as trace minerals, phytonutrients and an excellent source of plant-based protein and dietary fiber that are easily absorbed and digested by our body. The list below shows the more detailed view of the nutrient content of fresh and dried moringa leaves as per 100 grams of edible portion. 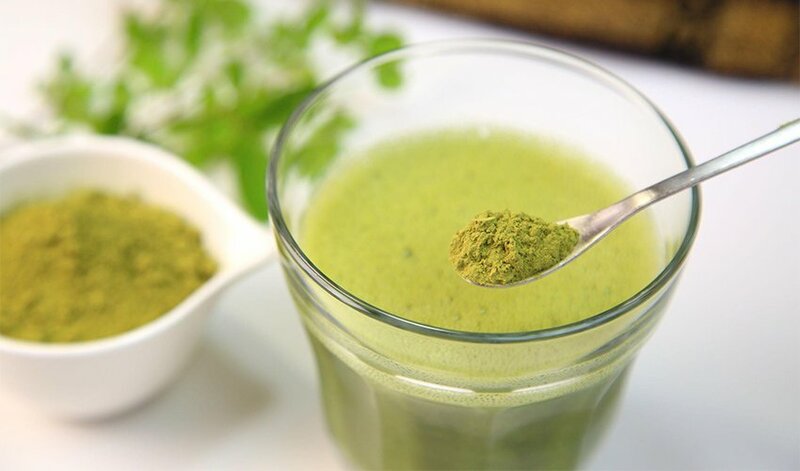 There is so much to gain in incorporating moringa leaf powder to your diet. Its versatility extends to be enjoyed in a wide variety of uses. Some people enjoyed it as a nutritional supplement or as an invigorating tonic and others use it in many different ways. Moringa powder can be applied directly to the skin for germ-fighting and as a drying agent for cuts and wounds so that it can heal fast. 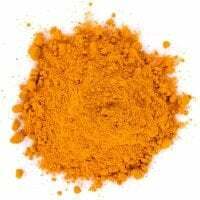 It is also used topically in treating a wide array of infections such as athlete’s foot, dandruff, warts, abscesses, and even snake bites. It can also be applied on the face as a pack making your skin smooth, glowing and blemish free thanks to its rich source of vitamins A, C, E and bioflavonoids that can delay aging process and can reduce the appearance of lines and wrinkles. Another use of moringa powder is for food preservation. 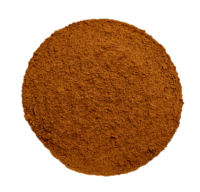 It reduces the oxidation in meat, therefore, extending its shelf life. 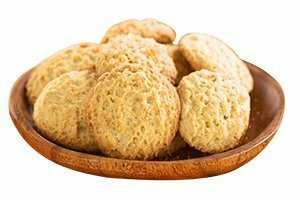 You can also add moringa powder as ingredients to your baked goodies such as bread, pastries, and cookies. You can also blend it away together with other veggies and fruits to make fine smoothies or you can have it in your stew or soup recipes for a nutritional boost. In conclusion, moringa oleifera is a useful plant species in the world that have grown to be an affordable and beneficial commodity in the market. 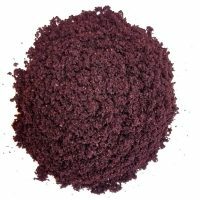 Its nutrients are packed in a convenient powdered form that is readily available and can be enjoyed by everyone. So why not give your body a dose of this miracle tree in moringa powder and experience its healthy advantages.